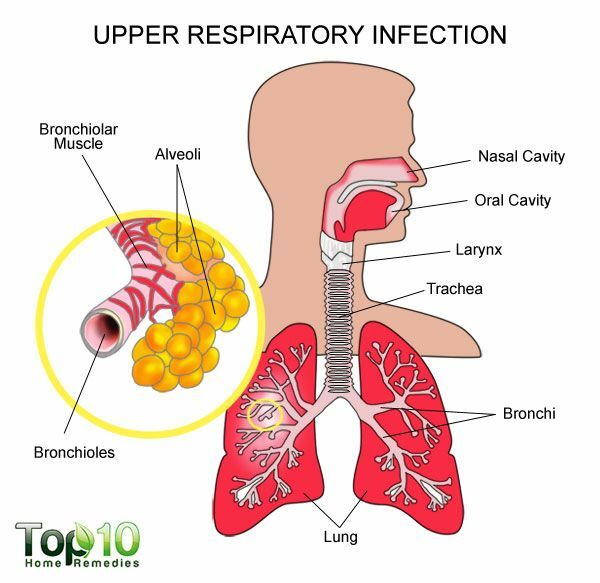 Upper respiratory tract infections (URIs) are contagious infections involving the nose, throat, sinuses, pharynx or larynx. Some commonly known URIs include the common cold, nasal obstruction, a sore throat, tonsillitis, pharyngitis, laryngitis, epiglottitis, tracheobronchitis, sinusitis and otitis media. Most URIs are viral in nature and tend to spread easily from one individual to another. However, in some cases, they can be caused by bacteria or fungi. Common symptoms of URIs are a runny nose, nasal congestion, sneezing, postnasal drip, a cough, watery eyes, a scratchy throat, a sore throat, a headache, muscle aches, breathing difficulty, a mild fever and mild fatigue. A person can have other symptoms associated with specific conditions. URIs spread from one person to another via airborne droplets from coughing and sneezing as well as direct hand-to-hand contact. Weak immunity and living in an area with low humidity can put you at a higher risk of these contagious illnesses. They are also more common in the winter months, when more people congregate indoors and germs spread faster. Precautionary measures can help prevent contracting a URI to a great extent. But if you contract an infection, many home remedies can offer comfort from the symptoms and reduce the duration of the illness. 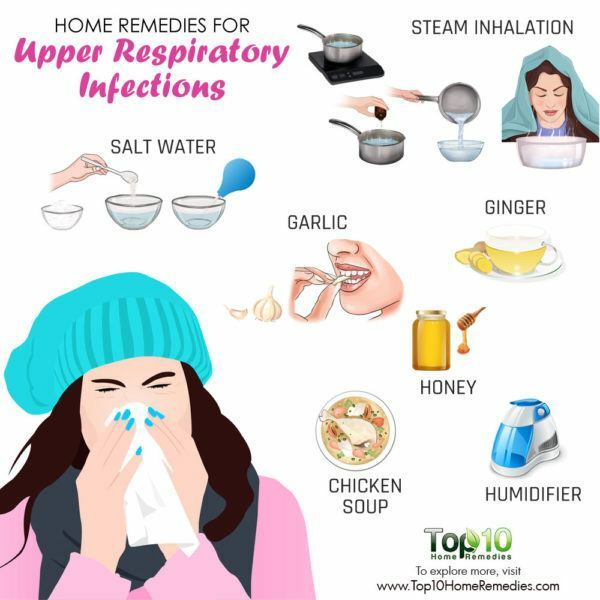 Here are the top 10 home remedies for upper respiratory infections (URIs). Steam is a simple yet effective home remedy to reduce the symptoms of a URI, such as nasal congestion, a runny nose and sneezing. Steam inhalation works as a natural expectorant to clear nasal congestion. It also helps lubricate the irritated respiratory tract. Add a few drops of peppermint or eucalyptus essential oil to a small tub of hot water. 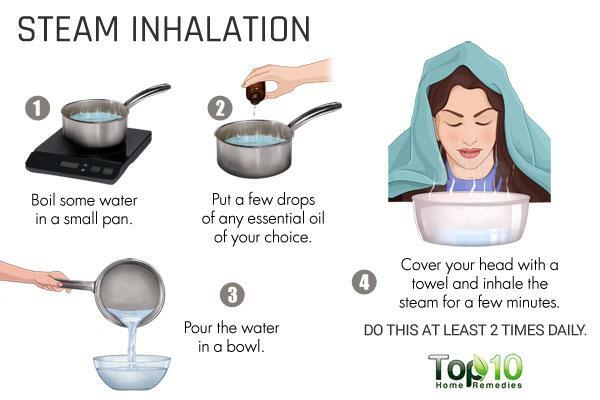 Cover your head with a towel and inhale the steam for a few minutes. Repeat a few times a day. Another option is to run a hot shower with the bathroom door closed and breathe in the steam vapors for 5 to 10 minutes. Do this once or twice daily. Note: Steam inhalation is not recommended for small children, pregnant women and people who have high blood pressure. 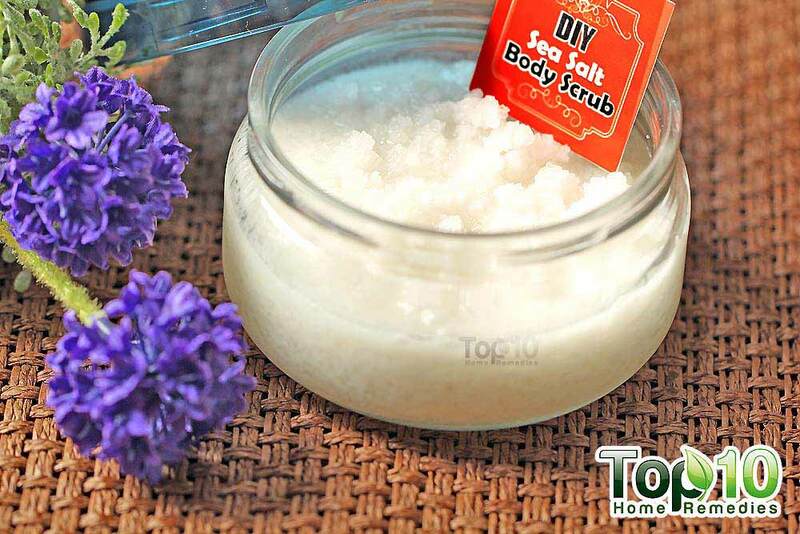 Salt water is another good home remedy for alleviating irritation in the nose and throat that accompanies an upper respiratory infection. It helps thin the mucus, making it easier and more comfortable to expel. It will also help clear the nasal passages of irritants. 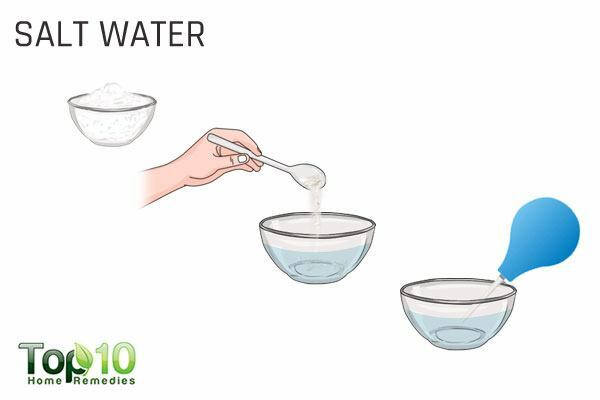 Add ¼ teaspoon of salt to a cup of room temperature water and stir it until the salt is dissolved. Using a bulb syringe, put the solution into one nostril at a time with your head tilted back. Inhale gently to draw the solution further into the nasal passages. Then, blow your nose to flush out the solution. Do this 2 or 3 times a day. Also, add 1 teaspoon of salt to 1 cup of warm water and gargle with it 2 or 3 times a day. It will help reduce the pain and swelling of a sore throat. For treating as well as preventing URIs, one of the best natural ingredients is ginger. It has antiviral compounds that help fight the cause of the infection. This warm herb also contains antimicrobial, diaphoretic, expectorant and anti-inflammatory properties. Also, it is an excellent immune-system booster. You can choose from any of the following remedies, or use a combination of them. Ginger works best in helping you avoid a full-fledged infection when you take it as soon as you experience the first signs of an upper respiratory infection. Chew small pieces of raw ginger sprinkled with salt several times a day. 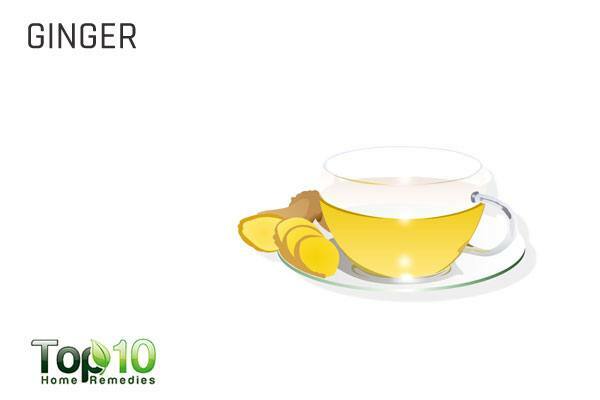 Cut some ginger root into thin slices, add them to a cup of water and boil it for 5 to 7 minutes to make a tea. Strain it and add a little honey for taste. Drink the tea up to 3 times a day. Another powerful immune booster, garlic is also beneficial for treating upper respiratory infections. It has powerful medicinal compounds, such as allicin, sulfhydryl and various other sulfur-containing compounds that help keep your body free from URIs as well as treat them. 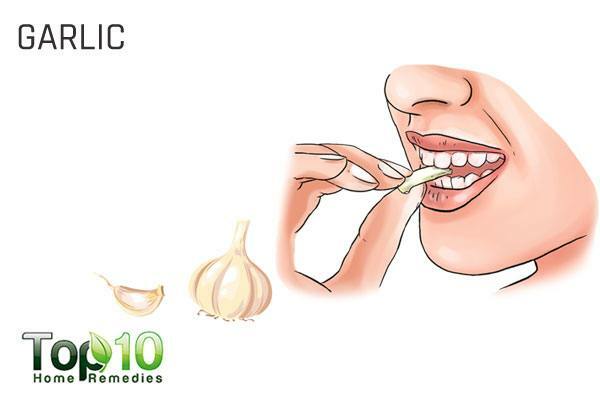 Garlic’s antibacterial and antiviral properties also make it effective in fighting the cause of the infection. Here again, you have a few options for using garlic. Eat 2 to 3 fresh garlic cloves daily, or use garlic in your cooking. Another option is to prepare a natural decongestant by mixing 1 minced garlic clove, a pinch of cayenne pepper power and 2 tablespoons each of oraginc apple cider vinegar (with mother) and honey in 1 cup of hot water. Sip it slowly for relief. You drink this tonic 2 or 3 times a day. You can opt to take garlic in supplement form. Talk with your doctor before using a supplement. A humidifier can be used to keep the air moist. This will assist in keeping the nose and sinus membranes moist, which helps with congestion and lessens the intensity of coughing. On the other hand, dry air can worsen a sore throat and make it difficult to breathe with ease. 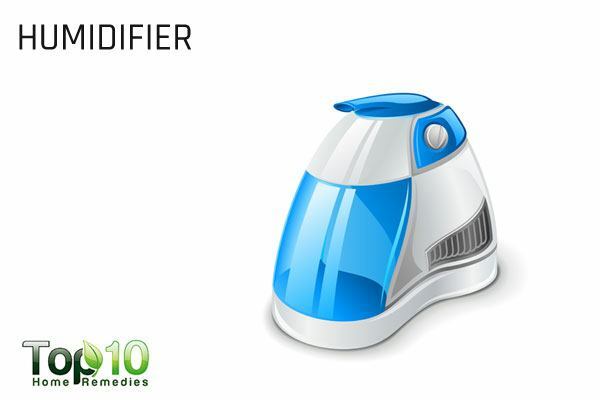 Use a humidifier wherever possible in your home, and especially in the room where you sleep. Another option is to place a bowl of hot water in the room to increase the moisture in the air. Be sure to use caution to avoid scalding burns from the hot water. 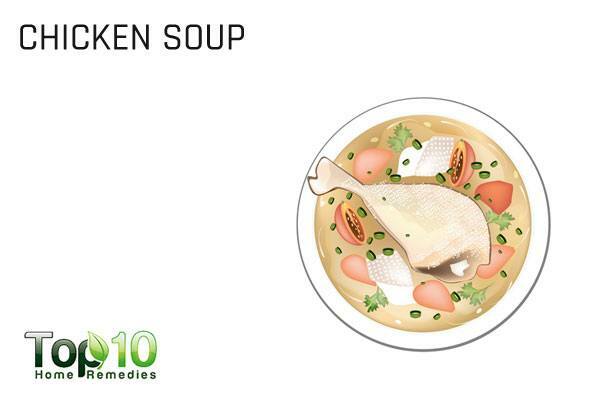 Homemade chicken soup has many essential nutrients and vitamins that help treat URI symptoms, such as a sore throat, a runny nose and congestion. Chicken contains an amino acid called cysteine that converts to glutathione, a very powerful antioxidant that helps speed up the healing process and aids in shortening the duration of the infection. In addition, it will boost immunity and restore your body’s strength. Eat some homemade chicken soup at least 2 or 3 times a day. For additional benefits, use organic chicken and add ginger and garlic to the soup. 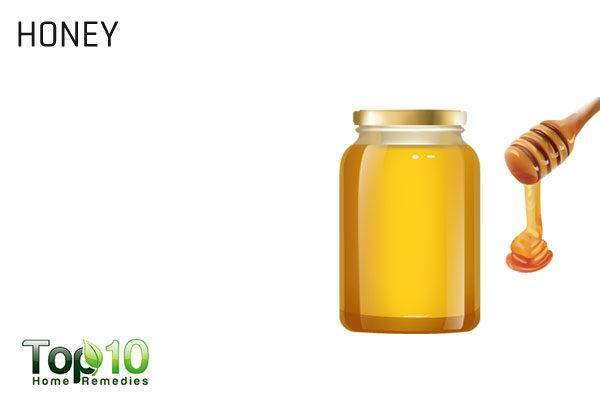 Honey is a safe remedy for adults and children age 1 and older who are suffering from a URI. The high amount of nutrients and enzymes in honey help kill bacteria and viruses that cause URIs. It also has potent antioxidant and immune-boosting properties that promote healing. A 2013 feasibility study published in Pediatric Report journal notes that honey can help in the treatment of cough in children. Add the juice of 1 lemon and 1 teaspoon of honey to a glass of lukewarm water. Drink it 1 or 2 times a day. Alternatively, you can drink a glass of warm milk with 1 tablespoon of honey once or twice a day. Irrespective of the cause of the URI, it is important to keep the body hydrated by increasing your fluid intake. Adequate hydration with water, juices and non-caffeinated drinks can thin nasal secretions, ease congestion and reduce throat irritation. 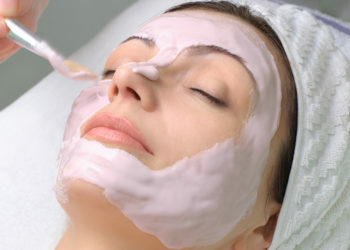 It also helps flush toxins out of the body, which is important for the healing process. Drinking an ample amount of water throughout the day will keep your body hydrated. 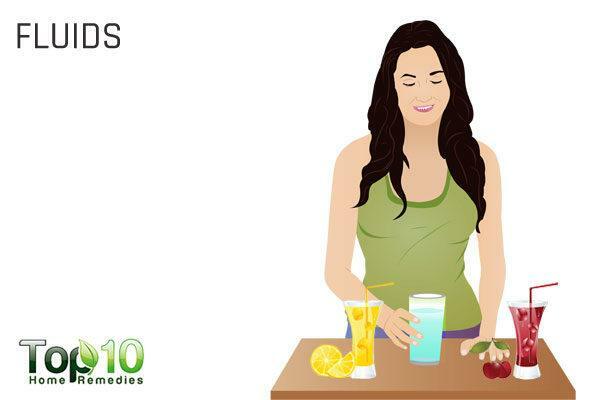 You can also drink broth or juice from fruits and vegetables with high water content. Do not drink beverages that are high in sugar or contain alcohol or caffeine, such as coffee, tea and colas. These can worsen your symptoms. Vitamin D plays a role in maintaining a strong immune system. In fact, a low vitamin D level can weaken your immunity and increase your chance of getting a URI. Hence, it is important to maintain a proper vitamin D level in the body. To get the required amount of vitamin D naturally, expose your arms and face to the sun for 15 minutes daily. 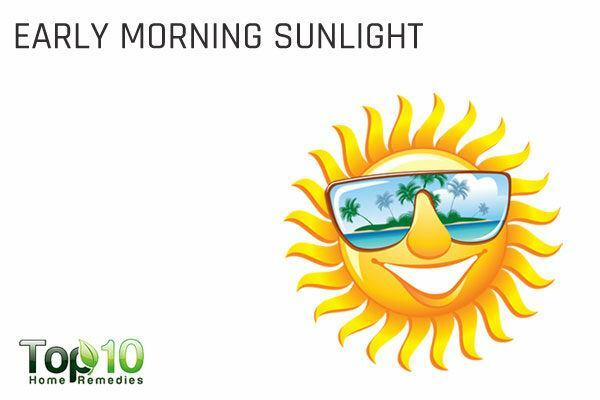 However, be sure it is early morning sun to avoid the harsher sunrays later in the day. If needed, take a vitamin D supplement after consulting your doctor. If you have persistent or severe symptoms of a URI, it is recommended to curl up in bed with some extra blankets to keep yourself warm and cozy. 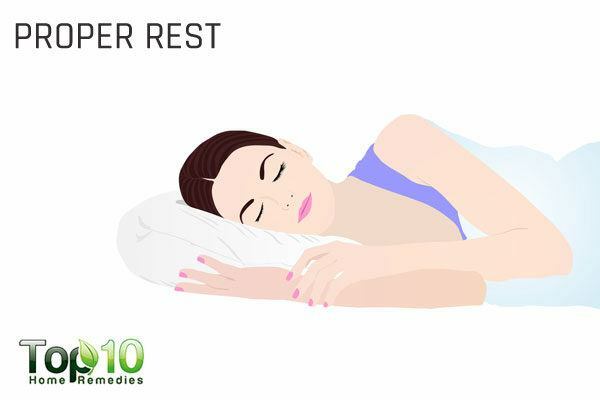 Getting proper rest is one of the best ways to help your body recover faster from an infection. Rest helps reduce inflammation and gives your body the needed time to heal. Always remember that your body needs its resources to heal, which you can save by getting proper rest and sleep. Do not tire yourself out by working overtime or going to the gym when you have an upper respiratory infection. If you need to exercise, try some light exercise like walking. Herbal teas prepared from echinacea, licorice root, elm bark and others also serve as excellent URI home remedies. Keep yourself warm by wearing extra clothes or using a blanket. Eat foods rich in vitamin C to boost your immunity. Avoid heavy meals and sugar when you are suffering with a URI. Smoking and exposure to secondhand smoke can further irritate your nose, throat and lungs. So, avoid them as much as possible.